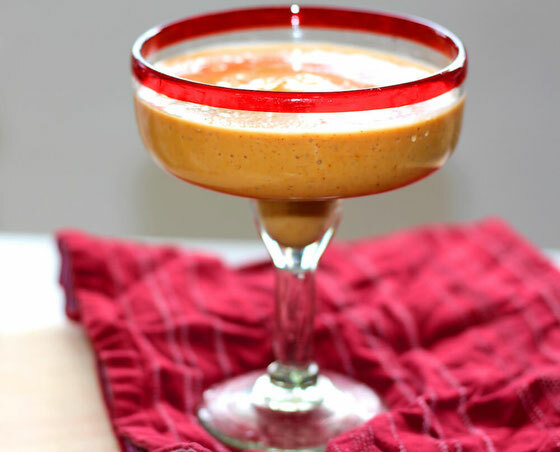 This Pumpkin Pie Smoothie tastes like pumpkin pie in a glass. That is, without the calories from lots of added sugar and whipped cream! Fall is my favorite time of year. I love everything about it: the way the air feels, the switchover from sandals to boots—and the opportunity to eat anything and everything pumpkin flavored. So I decided to play around in the kitchen this morning and bring you pumpkin pie in a cocktail glass! 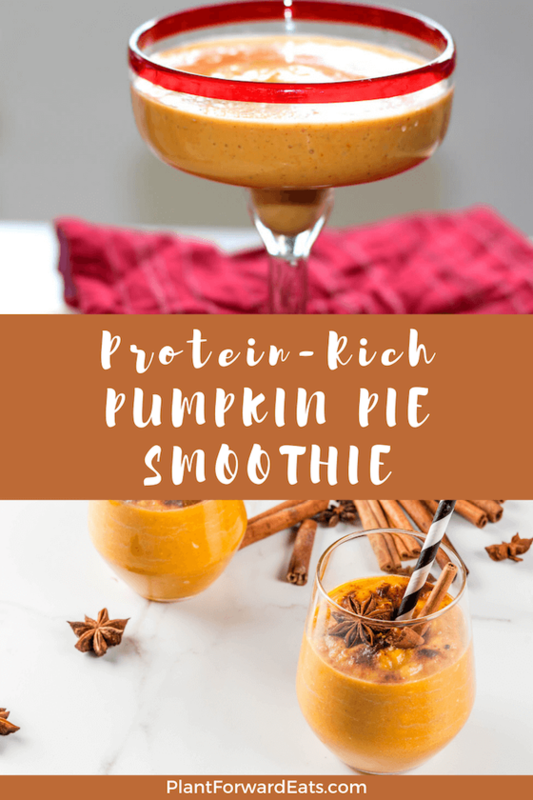 While this pumpkin spice smoothie is perfect for Fall, it's also a delicious treat anytime of the year. It's one of my favorite vegetarian recipes! The best part about eating pumpkin is how nutritious it is. Pumpkin offers beta carotene, which is the precursor to vision-helping vitamin A. You also get filling fiber from pumpkin, as well as iron, a mineral that helps provide oxygen to your blood. And remember: When you're shopping for pumpkin puree, make sure to choose 100 percent pumpkin—and not pumpkin pie mix, which has added sugar. Looking for more ideas for cooking with squash? Try my Baked Butternut Squash French Toast and my Pesto Parmesan Spaghetti Squash. 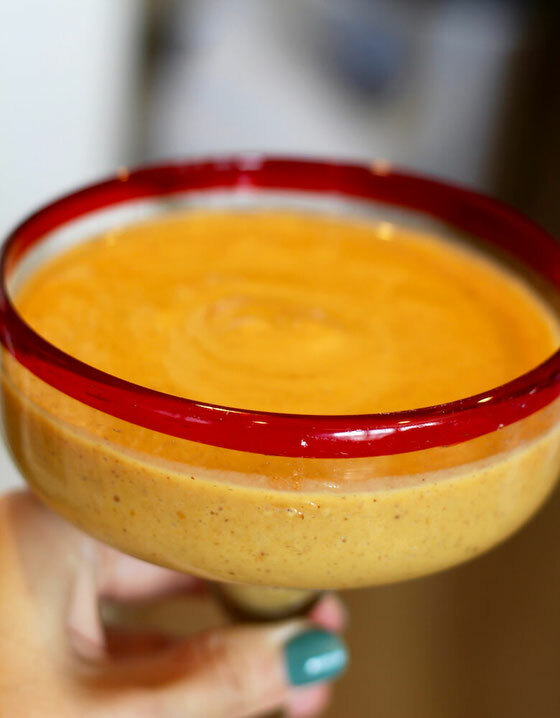 Ready to make this pumpkin smoothie? Blend ingredients together, and enjoy! Serves 1. What are your thoughts on this topic? What's your favorite way to eat pumpkin? Leave your comments here!